Join our list of over 24097 happy customers "specializing in screen printed & full color security signs & stickers"
Trusted by over 24097 satisfied customers, deSIGNery Signs is the No. 1 complaint free Sign Company for 24 years. 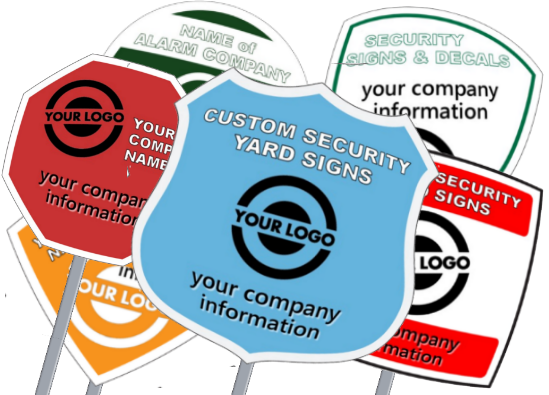 Full color security signs. Available in 6 standard shapes with approximate size of 9" x 9". 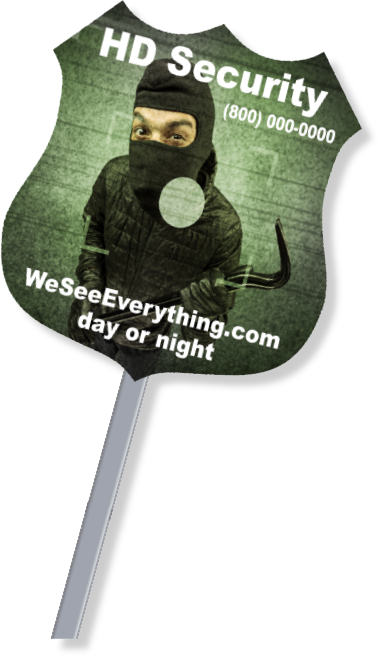 Security Yard Signs are priced without 36" long aluminum stake sold seperately. 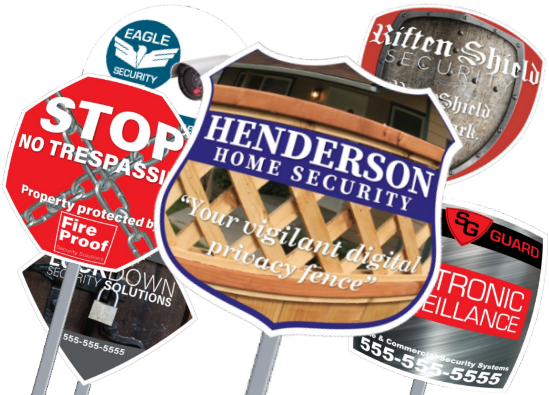 Our Custom printed Alarm Company Signs are digitally printed in full color for interior or exterior use. Printed on .055" white Polyethylene and durable in all climates. Looking for pre-made Fake Yard Signs? Just click on the link above and buy securely online. Same quality as our screen printed custom signs and available in low quantities. Custom security stickers are screen-printed on your choice of white, clear or reflective vinyl. 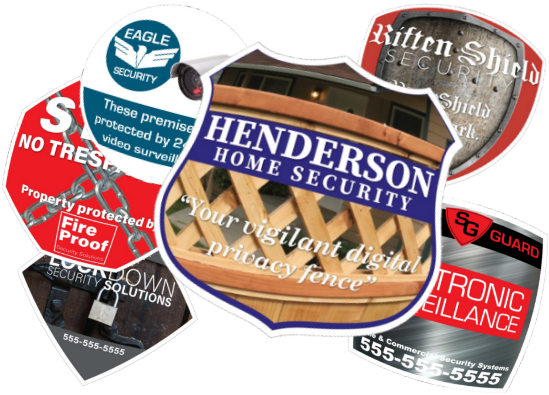 Our six different shapes of Security Stickers measure approximately 3" x 3". 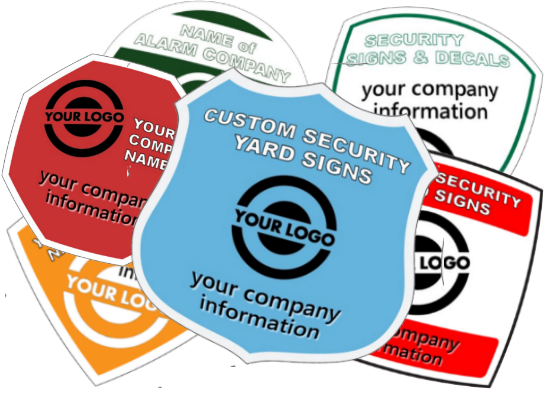 These 3" x 3" window decals for monitoring and Alarm Companies are available in badge, shield, round, octagon, diamond and square die-cut shapes. Order today.